The Volquartsen Exact Edge Extractor, for the Ruger 10/22, Mark II, Mark III, Mark IV, (including the 22/45 version) pistols, is manufactured through an EDM process to produce exacting tolerances. This extractor will not lose its edge under impact such as other extractors made from stamped steel or titanium that will have their edges "roll over" and actually cause extraction problems after a short period of use. Volquartsen's extractor features a very precise "hook point." It is made of A2 tool steel and is hardened to a Rc 58-60 to withstand years of use and still maintain its edge. Volquartsen is able to hold the tolerances to +/-.0001" by utilizing the EDM mfg process. The hook is .005" closer to the rim of the cartridge to allow for the most positive extraction available. NOTE: The spring shown is used only in the 10/22. For Ruger Mark Series of pistols, use the factory extractor spring. Great product. Great service. Things are a little harder and more expensive to get in Canada, so I'm glad I found Rimfire Sports. You can't beat no taxes and no shipping charges. Great Product, if you own a 10/22, this is a must, and for the price it's a win win situation, you won't find this cheaper anywhere else ! Hell buy 2 and sell one to your Buddy for $20 he will thank you for it ! GREAT PRODUCT GET ONE YOU WILL NEED IT!!!! WOW! THIS IS GREAT AND SO SIMPLE TO INSTALL, IF YOU SHOOT YOUR 10/22 YOU WILL NEED A NEW EXTRACTOR MIGHT AS WELL UPGRADE TO THIS SUPERIOR EXTRACTOR IT'S TO CHEAP NOT TO GET YOU WILL BE GLAD YOU DID. If you need any help installing this part go to 10/22 help web site they will show and tell you step by step how to do this and all after market parts. Get one for all your 10/22's. GREAT ITEM,SUPER EASY TO INSTALL,RIMFIRE SPORTS & CUSTOM RULES!!! Great product. I experienced misfeeds on my mark III until I got this extractor. No problems at all after I installed this extractor. Easy to install in my MKIII and no more FTE. I was ready to send my 10/22 back to RUGER to have my riffle inspected because of the horrible stovepipe jams almost every 4-5 rounds. I installed this extractor as a last ditch effort and it performed flawlessly. Ordered it on Friday, recieved it the next Wednesday. Only required 5 minutes of installation time. Highly recommend. Started Getting disappointed with my 10/22s because of feeding failures until I got the Volquartsen Extractors. Now can got through Hi-Cap mags without mishaps. Always clean Action after a reasonable amount of shooting and failures should be a thing of the past. My Mk III used to have a lot of stovepipe and mis-feed issues. I thought it was ammo, then I thought it was magazines. After installing this extractor I have had zero problems, regardless of which mags or ammo I use. Installation was easy and it has kept my 1022 from fte. Well worth the $11. sounds like a great item. unfortunately I'm not smart enough to figure out how to get the old extractor out so I haven't been able to benefit from this. could use some more complete instructions. or maybe I'm just an idiot. Top notch quality product. What an improvement. Rimfiresports shipping & customer service is the best!! Experienced misfeeds from the start with my new 10/22. After installation, no misfeeds on 400 rounds due to extraction problems. After shooting a brick of ammo, not a single jam. I also recommended and installed one on a friend's gun and had the same results, and the prompt shipping and very competitive prices make this site my only spot on the net for parts. I bought a used Mark III 22/45 target super cheap because it had been abused and couldn't fire more than 4 rounds without a misfeed. I popped this in, and it hasn't had a single misfeed in over 1000 rounds, no matter what type of ammo I throw at it. (subs, high velocity, and also the cheap stuff) My wife then bought a Mark III hunter and its extractor looked a little worn out of the box. It misfed about twice in 500 rounds, so we put one of these volquartsen extractors on it, and it hasn't misfired since. It's a very tricky install. It's helpful to have two people, two tiny screwdrivers, and if you have a stainless model, you might need a set of punch rods to remove the stop rod for the firing pin. I'm going to be getting one for my 10/22. Will post more comments when I have it installed. I thought I made a mistake after buying a MKlll 2245. Unlike my MKll this gun stovepiped about every twenty or thirty rounds. After installing this VQ extracter I have not had a single jam nomatter what ammo I put through. Excellent product! Priceless. Best twelve bucks I've ever spent!! Had extractor problems until I installed this one it was money well spent. This is MUST HAVE! I had massive jamming and ejecting problems with my 10/22, i put this thing in and not a single jam since after 1000 rounds. this product is the first thing you should buy if you need it or not, you will eventually anyways. its very easy to install too. I have Volquartsen extractors in all my pistols. They work much better than stamped factory extractors. I also keep extras on hand and sell them to other shooters, no markup though. Cured all failure to eject problems until it broke after 2200 rounds. I will order another and hope it lasts longer. Even after breaking in, cleaning, and different ammos, I still experienced occasional misfeeds/fires (action would recycle fired cases and not load next round). Easier than I thought to install, and no FTF after 4 bricks of different ammo. 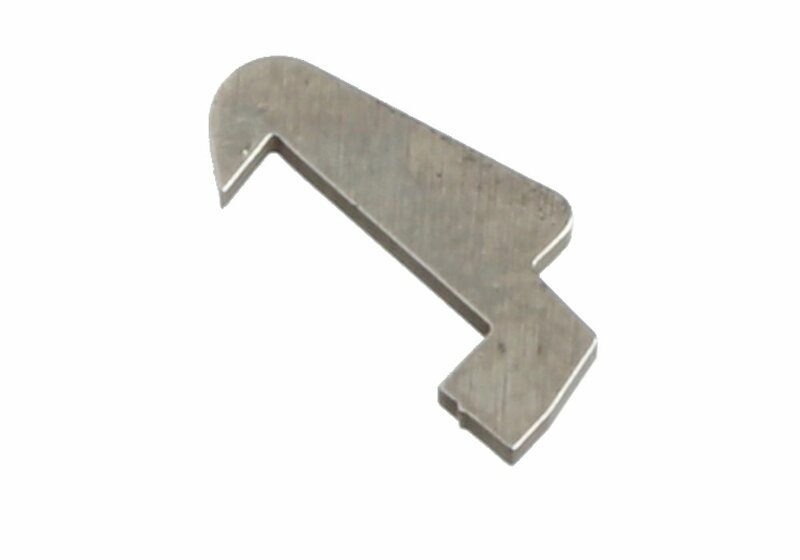 This part is a "Must Have" for any Ruger that will accept them. In my honest opinion all Rugers should ship from the factory with these. Excellent, perfect fit... 3000 rounds and no problems; visibly superior to the stock extractor. This out preforms the stock extractor by a mile.